The diverse history and cultural complexities of Siberia and Mongolia are navigated in this exceptional Trans-Siberian Railway journey through some of the world’s most fascinating cities and landscapes. This extraordinary Golden Eagle Luxury Train journey is not to be missed – from the imposing, intricate and beautiful facades of Moscow’s architectural wonders to Lake Baikal and Mongolia’s bustling capital of Ulaanbaatar. Join Golden Eagle Luxury Trains on this exceptional journey westward to Moscow and enjoy the Naadam Games in Ulaanbaatar– the most celebrated event of the year! Arrive in Ulaanbaatar, capital of Mongolia, and enjoy a three-night stay as you take in the city’s sites. Visit Gandan Monastery, the seat of Buddhist activity in the region, or experience Gorkhi-Terelj National Park’s beautiful scenery and a visit to a nomadic family. The Naadam Games of Ulaanbaatar, a two-day event, are the highlight of your time in the city. Board the Golden Eagle Luxury Train at night and settle into your journey. The next day arrive in Ulan Ude, capital of the Buryat Republic, and explore its ethnic and cultural diversity. Tour the Old Believers’ Village, experience the culture and history of these deeply religious people, and enjoy a concert featuring local traditions and folk singing. The next day enjoy activities in and around Lake Baikal. Explore the wonderful atmosphere of the lake, take a short boat ride, and discovering its picturesque town Listvyanka. 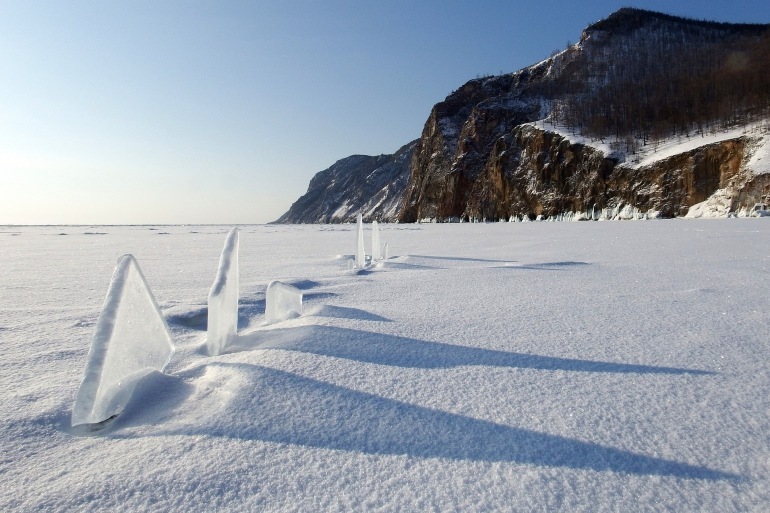 Enjoy a full second day at Lake Baikal. Cruise the reflective lake and relax at a traditional Russian banya (sauna). Steam haulage for the Golden Eagle train will be provided for the journey along the shores of the lake. A tour of the city of Irkutsk includes the Volkonsky House Museum, dedicated to the memory of aristocrats exiled here after the failed Decembrist uprising of 1825, and a visit to a traditional Russian Dacha (summer house). After dinner, the train continues to travel through the landscapes of Siberia’s mountains, crystal-clear rivers and verdant slopes. The following day enjoy lively conversation with your fellow passengers or learn a few more words in Russian as you unwind on the way to Novosibirsk. The following day pull into the Novosibirsk station, Siberia’s largest city, and experience the famed arts and sciences of the city on the mighty Ob River. Discover the imposing Opera House, one of the largest in the world, or the Railway Museum which houses carriages of the Tsars. Next, the capital of the Ural Mountains and the border between Asia and Europe – Yekaterinburg – is the site of a varied and somewhat tragic history. The city tour includes the center, restored in 2009, and the newly-erected Cathedral-on-the-blood – built in memorial of the last Tsar of Russia, Nicholas II, and his family. Arrive in Kazan, the old Tatar capital on the banks of the Volga, and take a guided tour of the Kremlin to learn about the bloody relations of the Tatars, Cossacks, and Russians. The next morning you reach Moscow, one of the richest and most dynamic cities in the world. After your arrival and check-in at a hotel, stroll the famous Red Square and Metro stations. A tour of one of the oldest Kremlin in the world and its glorious cathedrals follows, along with an optional visit to Sergiev Posad – home to one of the most beautiful monasteries in Russia – before you depart for home the following day. Following breakfast, you will be transferred to Moscow Airport to begin your journey home. Why not extend your stay in Moscow with additional nights to explore more of the city at your leisure or have time to take in a performance at the world--­renowned Bolshoi Theatre ? Tickets need to be pre-­‐booked and are subject to schedule and availability. Hotel and travel services in Moscow as described in the itinerary. Eight nights full board on Golden Eagle Luxury Train. All hotel accommodations as specified in the itinerary in Mongolia. All airport transfers on arrival and departure. All excursions, entrance fees, and exclusive visits as described in itinerary. On board educational lectures about local culture, people and history. Services of knowledgeable and dedicated tour director as well as local guides throughout the trip. All gratuities on the train and land program. $250,000 medical evacuation insurance (coverage details will be sent in our first mailing package. Comprehensive medical and trip insurance. 12 Breakfast, 10 Lunch, 12 Dinner.